Cities like Shahr-i-Sokhta in eastern Iran, remains of which can be seen from the air, developed and flourished at the same time as the population centers in Mesopotamia to the west and the Indus Valley to the east. The barren landscape was once home to some of the world's first urban societies, which began to develop around 3000 B.C. Even local archaeologists with the benefit of air-conditioned cars and paved roads think twice about crossing eastern Iran's rugged terrain. "It's a tough place," says Mehdi Mortazavi from the University of Sistan-Baluchistan in the far eastern end of Iran, near the Afghan border. At the center of this region is the Dasht-e Lut, Persian for the "Empty Desert." This treacherous landscape, 300 miles long and 200 miles wide, is covered with sinkholes, steep ravines, and sand dunes, some topping 1,000 feet. It also has the hottest average surface temperature of any place on Earth. The forbidding territory in and around this desert seems like the last place to seek clues to the emergence of the first cities and states 5,000 years ago. 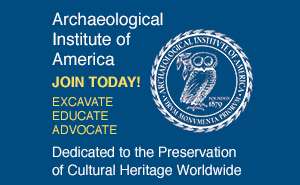 Yet archaeologists are finding an impressive array of ancient settlements on the edges of the Dasht-e Lut dating back to the period when urban civilization was emerging in Egypt, Iraq, and the Indus River Valley in Pakistan and India. In the 1960s and 1970s, they found the great centers of Shahr-i-Sokhta and Shahdad on the desert's fringes and another, Tepe Yahya, far to the south. More recent surveys, excavations, and remote sensing work reveal that all of eastern Iran, from near the Persian Gulf in the south to the northern edge of the Iranian plateau, was peppered with hundreds and possibly thousands of small to large settlements. Detailed laboratory analyses of artifacts and human remains from these sites are providing an intimate look at the lives of an enterprising people who helped create the world's first global trade network. Far from living in a cultural backwater, eastern Iranians from this period built large cities with palaces, used one of the first writing systems, and created sophisticated metal, pottery, and textile industries. They also appear to have shared both administrative and religious ideas as they did business with distant lands. "They connected the great corridors between Mesopotamia and the east," says Maurizio Tosi, a University of Bologna archaeologist who did pioneering work at Shahr-i-Sokhta. "They were the world in between." By 2000 B.C. these settlements were abandoned. The reasons for this remain unclear and are the source of much scholarly controversy, but urban life didn't return to eastern Iran for more than 1,500 years. The very existence of this civilization was long forgotten. Recovering its past has not been easy. Parts of the area are close to the Afghan border, long rife with armed smugglers. Revolution and politics have frequently interrupted excavations. And the immensity of the region and its harsh climate make it one of the most challenging places in the world to conduct archaeology. Situated at the end of a small delta on a dry plain, Shahdad was excavated by an Iranian team in the 1970s. An Iranian-Italian team, including archaeologist Massimo Vidale (right), surveyed the site in 2009. The peripatetic English explorer Sir Aurel Stein, famous for his archaeological work surveying large swaths of Central Asia and the Middle East, slipped into Persia at the end of 1915 and found the first hints of eastern Iran's lost cities. Stein traversed what he described as "a big stretch of gravel and sandy desert" and encountered "the usual...robber bands from across the Afghan border, without any exciting incident." What did excite Stein was the discovery of what he called "the most surprising prehistoric site" on the eastern edge of the Dasht-e Lut. Locals called it Shahr-i-Sokhta ("Burnt City") because of signs of ancient destruction. It wasn't until a half-century later that Tosi and his team hacked their way through the thick salt crust and discovered a metropolis rivaling those of the first great urban centers in Mesopotamia and the Indus. Radiocarbon data showed that the site was founded around 3200 B.C., just as the first substantial cities in Mesopotamia were being built, and flourished for more than a thousand years. During its heyday in the middle of the third millennium B.C., the city covered more than 150 hectares and may have been home to more than 20,000 people, perhaps as populous as the large cities of Umma in Mesopotamia and Mohenjo-Daro on the Indus River. A vast shallow lake and wells likely provided the necessary water, allowing for cultivated fields and grazing for animals. Built of mudbrick, the city boasted a large palace, separate neighborhoods for pottery-making, metalworking, and other industrial activities, and distinct areas for the production of local goods. Most residents lived in modest one-room houses, though some were larger compounds with six to eight rooms. Bags of goods and storerooms were often "locked" with stamp seals, a procedure common in Mesopotamia in the era. Shahr-i-Sokhta boomed as the demand for precious goods among elites in the region and elsewhere grew. Though situated in inhospitable terrain, the city was close to tin, copper, and turquoise mines, and lay on the route bringing lapis lazuli from Afghanistan to the west. Craftsmen worked shells from the Persian Gulf, carnelian from India, and local metals such as tin and copper. Some they made into finished products, and others were exported in unfinished form. Lapis blocks brought from the Hindu Kush mountains, for example, were cut into smaller chunks and sent on to Mesopotamia and as far west as Syria. Unworked blocks of lapis weighing more than 100 pounds in total were unearthed in the ruined palace of Ebla, close to the Mediterranean Sea. Archaeologist Massimo Vidale of the University of Padua says that the elites in eastern Iranian cities like Shahr-i-Sokhta were not simply slaves to Mesopotamian markets. They apparently kept the best-quality lapis for themselves, and sent west what they did not want. Lapis beads found in the royal tombs of Ur, for example, are intricately carved, but of generally low-quality stone compared to those of Shahr-i-Sokhta. Pottery was produced on a massive scale. Nearly 100 kilns were clustered in one part of town and the craftspeople also had a thriving textile industry. Hundreds of wooden spindle whorls and combs were uncovered, as were well-preserved textile fragments made of goat hair and wool that show a wide variation in their weave. According to Irene Good, a specialist in ancient textiles at Oxford University, this group of textile fragments constitutes one of the most important in the world, given their great antiquity and the insight they provide into an early stage of the evolution of wool production. Textiles were big business in the third millennium B.C., according to Mesopotamian texts, but actual textiles from this era had never before been found. A metal flag found at Shahdad, one of eastern Iran's early urban sites, dates to around 2400 B.C. The flag depicts a man and woman facing each other, one of the recurrent themes in the region's art at this time. This plain ceramic jar, found recently at Shahdad, contains residue of a white cosmetic whose complex formula is evidence for an extensive knowledge of chemistry among the city's ancient inhabitants. The artifacts also show the breadth of Shahr-i-Sokhta's connections. Some excavated red-and-black ceramics share traits with those found in the hills and steppes of distant Turkmenistan to the north, while others are similar to pots made in Pakistan to the east, then home to the Indus civilization. Tosi's team found a clay tablet written in a script called Proto-Elamite, which emerged at the end of the fourth millennium B.C., just after the advent of the first known writing system, cuneiform, which evolved in Mesopotamia. Other such tablets and sealings with Proto-Elamite signs have also been found in eastern Iran, such as at Tepe Yahya. This script was used for only a few centuries starting around 3200 B.C. and may have emerged in Susa, just east of Mesopotamia. By the middle of the third millennium B.C., however, it was no longer in use. Most of the eastern Iranian tablets record simple transactions involving sheep, goats, and grain and could have been used to keep track of goods in large households. While Tosi's team was digging at Shahr-i-Sokhta, Iranian archaeologist Ali Hakemi was working at another site, Shahdad, on the western side of the Dasht-e Lut. This settlement emerged as early as the fifth millennium B.C. on a delta at the edge of the desert. By the early third millennium B.C., Shahdad began to grow quickly as international trade with Mesopotamia expanded. Tomb excavations revealed spectacular artifacts amid stone blocks once painted in vibrant colors. These include several extraordinary, nearly life-size clay statues placed with the dead. The city's artisans worked lapis lazuli, silver, lead, turquoise, and other materials imported from as far away as eastern Afghanistan, as well as shells from the distant Persian Gulf and Indian Ocean. Evidence shows that ancient Shahdad had a large metalworking industry by this time. During a recent survey, a new generation of archaeologists found a vast hill—nearly 300 feet by 300 feet—covered with slag from smelting copper. Vidale says that analysis of the copper ore suggests that the smiths were savvy enough to add a small amount of arsenic in the later stages of the process to strengthen the final product. Shahdad's metalworkers also created such remarkable artifacts as a metal flag dating to about 2400 B.C. Mounted on a copper pole topped with a bird, perhaps an eagle, the squared flag depicts two figures facing one another on a rich background of animals, plants, and goddesses. The flag has no parallels and its use is unknown. Vidale has also found evidence of a sweet-smelling nature. During a spring 2009 visit to Shahdad, he discovered a small stone container lying on the ground. The vessel, which appears to date to the late fourth millennium B.C., was made of chlorite, a dark soft stone favored by ancient artisans in southeast Iran. Using X-ray diffraction at an Iranian lab, he discovered lead carbonate—used as a white cosmetic—sealed in the bottom of the jar. He identified fatty material that likely was added as a binder, as well as traces of coumarin, a fragrant chemical compound found in plants and used in some perfumes. Further analysis showed small traces of copper, possibly the result of a user dipping a small metal applicator into the container. Other sites in eastern Iran are only now being investigated. For the past two years, Iranian archaeologists Hassan Fazeli Nashli and Hassain Ali Kavosh from the University of Tehran have been digging in a small settlement a few miles east of Shahdad called Tepe Graziani, named for the Italian archaeologist who first surveyed the site. They are trying to understand the role of the city's outer settlements by examining this ancient mound, which is 30 feet high, 525 feet wide, and 720 feet long. Excavators have uncovered a wealth of artifacts including a variety of small sculptures depicting crude human figures, humped bulls, and a Bactrian camel dating to approximately 2900 B.C. A bronze mirror, fishhooks, daggers, and pins are among the metal finds. There are also wooden combs that survived in the arid climate. "The site is small but very rich," says Fazeli, adding that it may have been a prosperous suburban production center for Shahdad. Sites such as Shahdad and Shahr-i-Sokhta and their suburbs were not simply islands of settlements in what otherwise was empty desert. Fazeli adds that some 900 Bronze Age sites have been found on the Sistan plain, which borders Afghanistan and Pakistan. Mortazavi, meanwhile, has been examining the area around the Bampur Valley, in Iran's extreme southeast. This area was a corridor between the Iranian plateau and the Indus Valley, as well as between Shahr-i-Sokhta to the north and the Persian Gulf to the south. A 2006 survey along the Damin River identified 19 Bronze Age sites in an area of less than 20 square miles. That river periodically vanishes, and farmers depend on underground channels called qanats to transport water. Despite the lack of large rivers, ancient eastern Iranians were very savvy in marshaling their few water resources. Using satellite remote sensing data, Vidale has found remains of what might be ancient canals or qanats around Shahdad, but more work is necessary to understand how inhabitants supported themselves in this harsh climate 5,000 years ago, as they still do today. The large eastern Iranian settlement of Tepe Yahya produced clear evidence for the manufacture of a type of black stone jar for export that has been found as far away as Mesopotamia. Meanwhile, archaeologists also hope to soon continue work that began a decade ago at Konar Sandal, 55 miles north of Yahya near the modern city of Jiroft in southeastern Iran. France-based archaeologist Yusef Madjizadeh has spent six seasons working at the site, which revealed a large city centered on a high citadel with massive walls beside the Halil River. That city and neighboring settlements like Yahya produced artfully carved dark stone vessels that have been found in Mesopotamian temples. Vidale notes that Indus weights, seals, and etched carnelian beads found at Konar Sandal demonstrate connections with that civilization as well. Many of these settlements were abandoned in the latter half of the third millennium B.C., and, by 2000 B.C., the vibrant urban life of eastern Iran was history. Barbara Helwig of Berlin's German Archaeological Institute suspects a radical shift in trade patterns precipitated the decline. Instead of moving in caravans across the deserts and plateau of Iran, Indus traders began sailing directly to Arabia and then on to Mesopotamia, while to the north, the growing power of the Oxus civilization in today's Turkmenistan may have further weakened the role of cities such as Shahdad. Others blame climate change. The lagoons, marshes, and streams may have dried up, since even small shifts in rainfall canB.C. have a dramatic effect on water sources in the area. Here, there is no Nile, Tigris and Euphrates, or Indus to provide agricultural bounty through a drought, and even the most sophisticated water systems may have failed during a prolonged dry spell. It is also possible that an international economic downturn played a role. The destruction of the Mesopotamian city of Ur around 2000 B.C. and the later decline of Indus metropolises such as Mohenjo-Daro might have spelled doom for a trading people. The market for precious goods such as lapis collapsed. There is no clear evidence of widespread warfare, though Shahr-i-Sokhta appears to have been destroyed by fire several times. But a combination of drought, changes in trade routes, and economic trouble might have led people to abandon their cities to return to a simpler existence of herding and small-scale farming. Not until the Persian Empire rose 1,500 years later did people again live in any large numbers in eastern Iran, and not until modern times did cities again emerge. This also means that countless ancient sites are still awaiting exploration on the plains, in the deserts, and among the rocky valleys of the region. 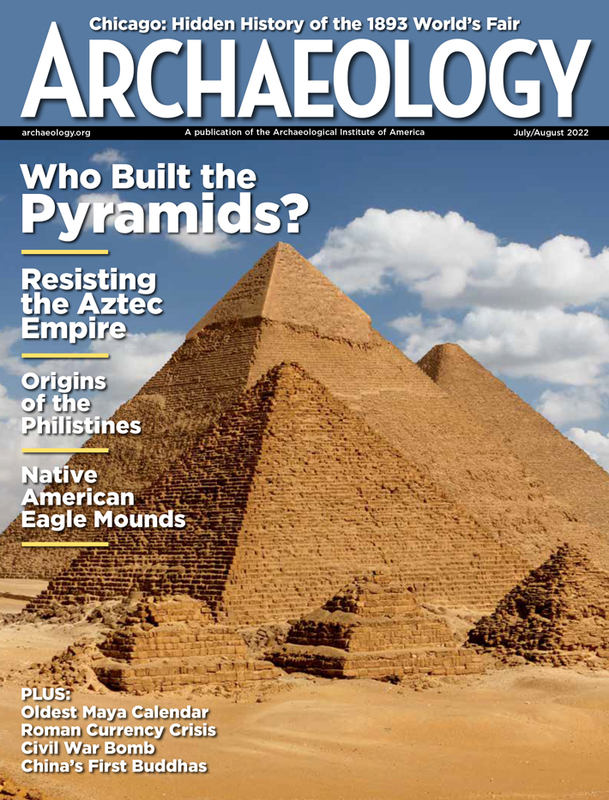 Andrew Lawler is a contributing editor at ARCHAEOLOGY. For our 1975 coverage of the excavations at Shahr-i-Sokhta, see archive.archaeology.org/iran.